But commission says it needs a formal referral. 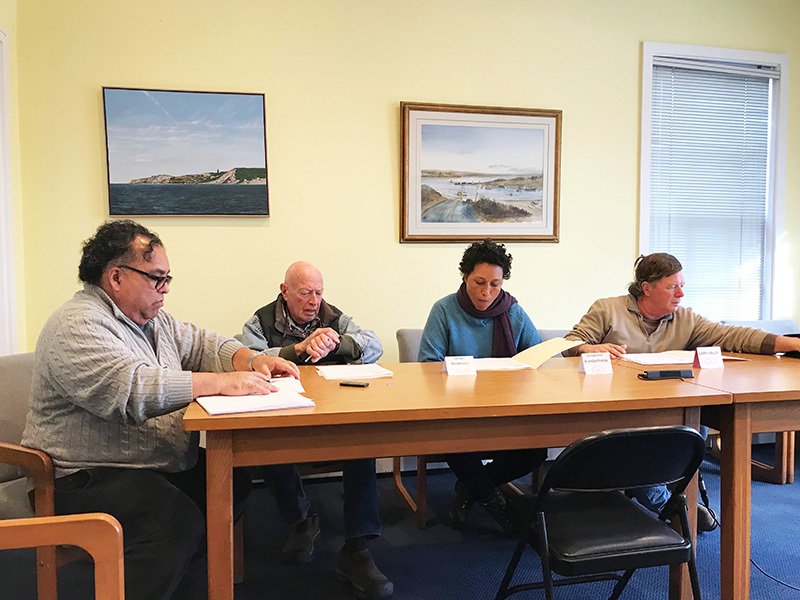 The Aquinnah board of selectmen, shown here at a selectmen's meeting in March, asked the Martha's Vineyard Commission to review a tribe gambling facility, but the commission says it needs a formal referral from the town. Aquinnah selectmen have asked the Martha’s Vineyard Commission to review plans by the Wampanoag Tribe of Gay Head (Aquinnah) to build a gambling facility on reservation lands. 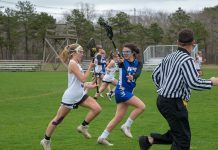 On Thursday, the commission acknowledged receipt of the letter, but chairman Douglas Sederholm said the town would have to make a formal referral, putting the ball back in the town’s court. In a letter dated Jan. 16, signed by all three Aquinnah selectmen, the town reported that selectman Jim Newman and town counsel Ronald Rappaport met with tribe officials to discuss plans for the Class II gaming facility, which is licensed under the federal Indian Gaming Regulatory Act of 1988. Instead, commissioners will ask the town to make formal referral, Sederholm said. In the town’s letter to the commission, a Jan. 8 letter sent to tribal chairwoman Cheryl Andrews-Maltais was also included. It outlines what Newman and Rappaport learned during their meeting with Andrews-Maltais. Andrews-Maltais is off-Island, and was not immediately available for comment. At that time she also said she looks forward to where the tribe will be later this year. In August, the tribe announced a partnership with Global Gaming Solutions, a company that’s helped other Indian tribes across the country develop gambling facilities. It’s been a little over a year now since the U.S. Supreme Court decided not to hear the appeal made by the state, the town, and the Aquinnah/Gay Head Community Association objecting to a gambling facility. That decision allows the tribe to move forward with Class II gaming, which is essentially electronic bingo. The town is attempting to exert some control over what’s done. 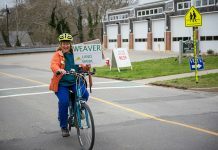 “It is our understanding that you do not intend to seek any permits from the town, other than a beer and wine license, or from the Martha’s Vineyard Commission,” the town’s letter to Andrews-Maltais states. The town asked for a response by Jan. 15. Newman, Rappaport and town administrator Jeffrey Madison were not immediately available Monday. Reporter Brian Dowd contributed to this report. When I was young, No, No and NO was what I heard from all the gals, I dated. how long will the tribe continue to waste it’s money, and the money of the town,mvc, etc. on this ridiculous idea ? The tribe isn’t wasting a dime of their money since they get federal money handed to them daily. They’re wasting taxpayer money and couldn’t care less. WE do not need a gambling hall on this island. PERIOD!! Stop wasting everyone’s time!! I wonder how much the company that ‘helps’ these tribes get into the gambling business gets as a fee. I’ll be their cut is a lot more than the tribe in any ‘partnership’. ”tribe”? dondondon. Can you not just say people instead of tribe. Is this not identity politics. If I cannot say Mexican billionaire or Saudia billionaire, methinks you shouldnt say tribe. Most of you liberals should be saying that the group can do whatever it wants. Gambling has long been a mainstay of the Indian—ooops First Nation culture and you are denying them this right with your vicious post. Andrew–The article above uses the word “tribe” 11 times. They call it nothing else. Should I make up my own word for those “people” who identify as a members of the tribe ? This is not trump regime double speak. I will call the tribe the tribe– that is how tribal members describe themselves. I will also call the wall the wall, a lie a lie, a transgendered person by the gender they identify with and a crook a crook. The truth is actually the truth, and alternate facts are not facts . Andrew, it’s all about context, like when you say “you liberals” as an insult when trying to employ sarcasm that falls flat in your attempt to put down Don’s point. For years you have identified yourself as a proud, very right-leaning conservative and born-again Christian. But if I speak to you as an individual and say, “you right-wing born-agains”, that doesn’t sound very nice, does it? In fact, it’s a clear insult. Andrew –It’s obvious that the reason you mentioned the nationality of a certain billionaire was to discredit that person. It was probably effective for a certain kind of reader. Perhaps you should know the word “microaggression” . It’s their land and to put it mildly, they haven’t gotten the best treatment from the US. Do I like it? No. More to the point I think it’s probably a bad call for the tribe. But it isn’t my decision to make, it’s their decision. Sailorman– I own property on this island. i don’t think I have gotten the “best treatment” from the U.S .
And when brothels become legal you can try to open one. The tribe refers to themselves as tribal members, so tribe is the exact word you use in reference to their community. We don’t need a casino on this island, you might as well start building malls and fast food joints. Sailorman, when are we going to stop paying for the mistakes of people that have been dead and buried for DECADES? I mean really….when does this end??? It’s your tax dollars too that fund this. I was kinda hoping they would forget the gambling and open up a marujuana dispensary. The tribe knows more about the medicinal and healing values of MJ than anyone. But thats just me. Id buy some from them. I think Native Americans should whatever they feel like doing. Trump says he has an immigration problem. I say Native Americans have had a problem with immigrants since the 1400’s. I don’t understand how the US government, the local government has the right to claim sovereignty over “the tribes”! oaksbluff…does the tribe not have to abide by the laws of this country??? Yes, I believe they do, just because you own the land doesn’t mean you can throw out any and all rules that everyone else has to follow (see dondondon12 comments) I am personally tired of kiss everyone’s ring in these situations.